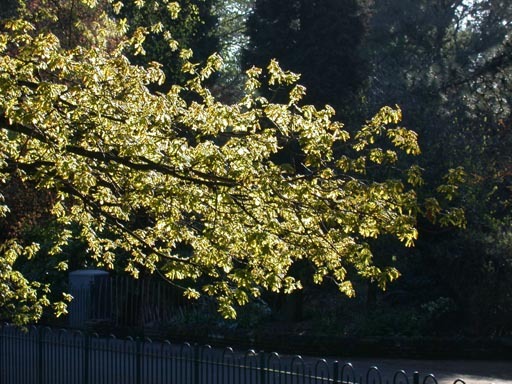 The Botanic Gardens has an excellent collection of oak species, both evergreen and deciduous. 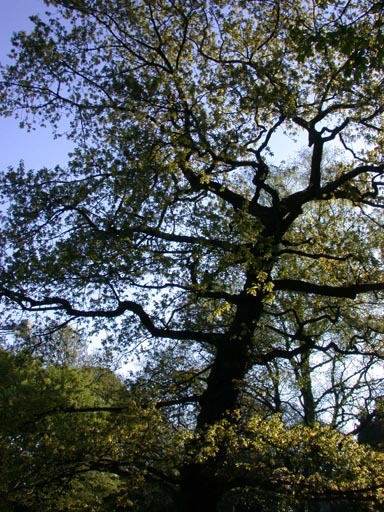 The pedunculate oak in one of the two oaks native to Ireland (the other is Quercus petraea). Unfortunately the two species can hybridize so identification can be difficult. 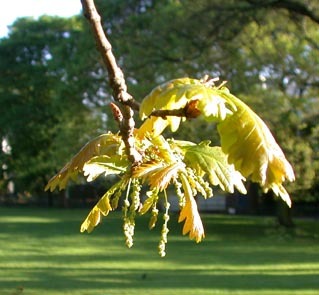 The oaks at the south end of the main field are Q. robur, having long stalks on the acorns and leaves with a very short leaf stalk. One of the mature oaks in the main field succumbed to Ganoderma fungus and was felled in 2012. 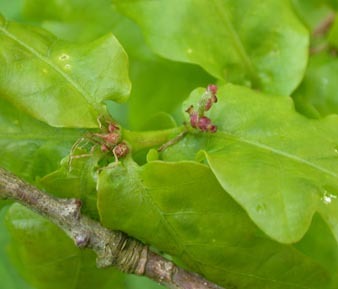 The male flowers are in a loosly constructed catkin (see photos below) and the female flowers are tiny (1-2mm) red flask-shaped structures that can be very hard to find. Photos taken in Belfast Botanic Gardens in 2007. Copyright: Friends of Belfast Botanic Gardens.